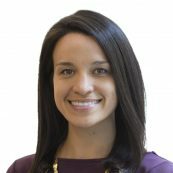 Maia Wagner is a Key Client Manager at PYXERA Global where she supports global pro bono programs. Maia leads program strategy development with key private sector partners in the areas of youth employability and entrepreneurship, health, nutrition, water and sanitation, and women’s economic empowerment. Prior to coming to PYXERA Global, Maia supported agriculture development programs at CNFA, a non-profit organization based in Washington, DC. Maia has experience developing and implementing multi-sector partnerships in the Sub-Saharan African and Latin American regions. Maia is fluent in Spanish and holds an MA in International Trade from the University of Valencia.